It’s still ‘considered’ the new year. How are you doing in cutting your expenses? You know, one of the easiest ways to cut some expense in your daily budget it to ‘brown bag’ it! Back in the day, everyone carried their lunch with them. Workers carried their lunches in big metal lunchboxes that also held a big thermos. Kids carried metal lunchboxes with their favorite characters on them and many of those also included thermoses for their drink. There was even a time when ladies carried just a small thermos with soup in it. (The lid became the bowl.) 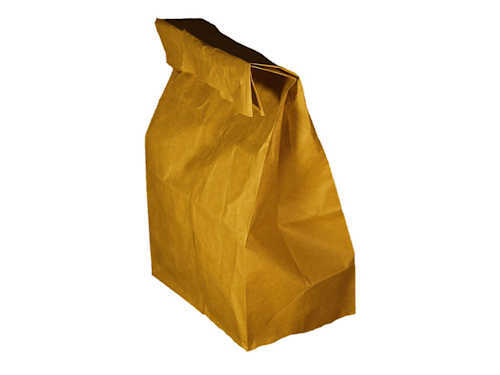 And many people simply carried their lunch in a brown paper bag. This was before you could buy zip locked plastic bags for your sandwich. Sandwiches were wrapped in wax paper and sealed with a toothpick. Later a major manufacturer came out with wax paper bags that one still sealed with a toothpick. And even later came plastic sandwich bags that folded over on the top. Today you will rarely find those instead most folks that bring their sandwiches do so in a zip lock bag. So much better as it keeps the sandwich fresher longer. No more hard edged sandwich bread. Today, packing your lunch is a budget saver. Just an average lunch can set you back ten bucks! OK, five if you order from the cheap side of the menu. But even at that you can rack up a huge savings by stopping the drive thru and packing your lunch. If you, or your child, has allergies then packing a lunch is a must. This way you have total control over what’s offered. If you’re on a special diet, be that gluten free, low carb, or a vegetarian then you know that finding options ‘out’ is sometimes hard. Bring your own! One of the key’s to bringing/taking a lunch is packing something that you know that you (or your child) will actually eat. Think about what you’d like to have for lunch. It could be a ham sandwich, a cheese sandwich, a peanut butter sandwich. You might want to take the leftover soup or casserole from last night’s dinner. When you’re grocery shopping, think about leftovers and lunches. Buy a bag of grapes. When you get home separate them into individual little baggies (or plastic containers). Same goes with little baby carrots, or grape tomatoes…. the list goes on. The baggies, in my opinion, are best because you won’t have to worry about someone leaving them behind. No refrigeration? My Mother used to get up early every single morning and fry a piece of bologna for Dad’s sandwich for lunch. I can’t imagine doing that today…. but you can instead include a juice drink that’s been frozen. It’ll keep the rest of the lunch cool until lunchtime and will be thawed enough to drink. There are also little frozen containers that you can put in your lunch to keep them cool. I used to bring my lunch and set it on the A/C vent in the office to keep it cool. I’ve also been known to make a week’s worth of sandwiches at once and freeze them. This makes it easy to grab one on your way out the door and it’ll be thawed by lunchtime. Be sure to have something fun for your lunches, especially if you have young ones. Keeping a supply of fun chips, snack crackers, and homemade desserts (like brownies) ready to go. This helps keep the moral up!